Babies just LOVE our bunny lovies! 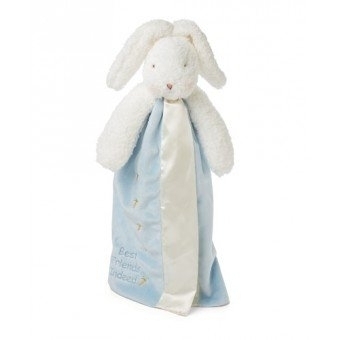 Plush floppy eared bunny has snuggly soft velour blanket, lined and edged in silky satin. Embroidered message reads "Best Friends Indeed." Washes beautifully, machine wash cold and tumble dry low heat. 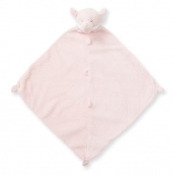 Add a personalized touch with the baby's first name or monogram! Measures 16"